By anac10°/10° zigzag test, the hydrodynamic derivatives in the Abkowitz model for ship manoeuvring motion are identified by using ε -Support Vector Regression (ε -SVR). To damp the extent of parameter drift, a series of random numbers are added into the training samples to reconstruct the training samples. 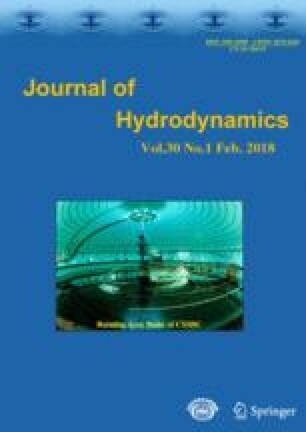 The identification results of the hydrodynamic derivatives are compared with the Planar Motion Mechanism (PMM) test results to verify the identification method. By using the identified Abkowitz model, 20°/20° zigzag test is numerically simulated. The simulated results are compared with those obtained by using the Abkowitz model where the hydrodynamic derivatives are obtained from PMM tests. The agreement is satisfactory, which shows that the regressive Abkowitz model has a good generalization performance. Project supported by the National Natural Science Foundation of China (Grant Nos. 50979060, 51079031), the Foundation of National Science and Technology Key Laboratory of Hydrodynamics (Grant No. 9140C2201091001).